Here are a selection of images of some Aoife Kirwan Millinery medium sized shapes. Collection designs can be altered to suit individual client requirements, outfits and occasions. 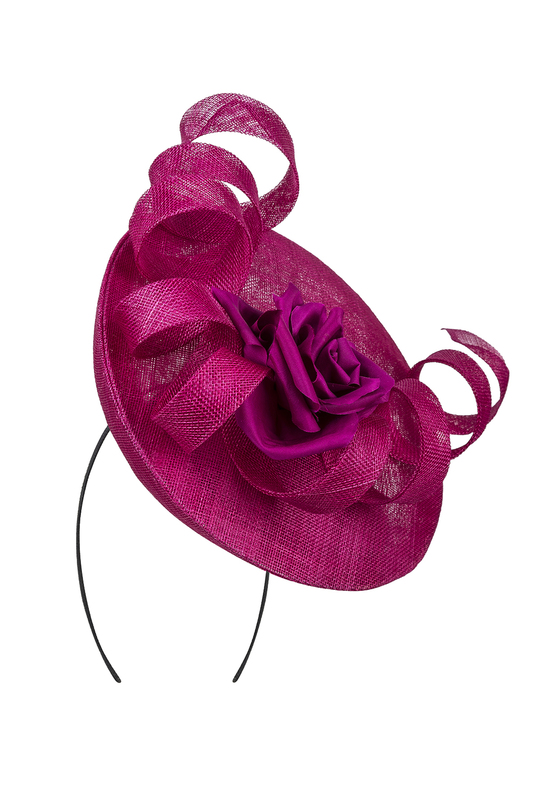 Aoife Kirwan Millinery also provides an exclusive consultation service for custom orders. Please do not hesitate to contact us for a studio appointment or with any queries you may have. Email: AoifeKirwanMillinery@yahoo.ie Phone: 00353 (0)877563601. Smocked silk chiffon crown with yellow feather spray. Smocked silk chiffon and silk satin crown with feather spray. 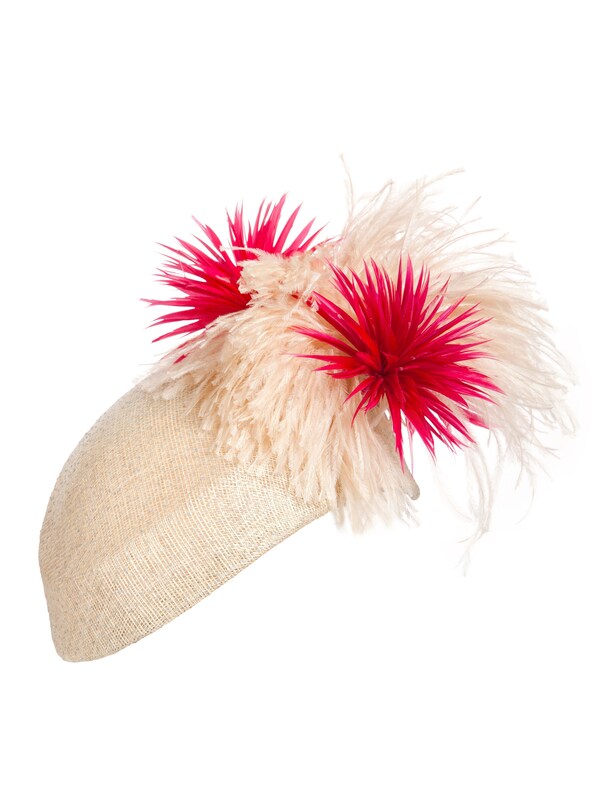 Peachbloom sharp beret with feather spray. Embroidered silk chiffon 3D percher with spike feather spray. Sinamay bandeau with feather spray. Pheasant feather crown with Italian leather and Swarovski pearl flowers. Crushed velvet percher boater with velvet band, leather bows, silk veiling and handcrafted silk roses. Midnight blue silk velvet lidded saucer with beading detail and bow to the back. Sinamay boater with windowpane brim, pearl band, feather arrow & flowers. 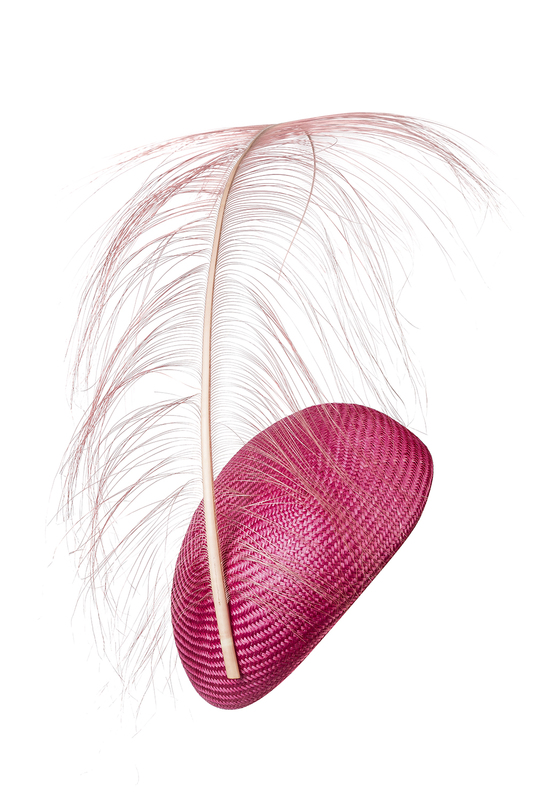 Sinamay curved percher with silk chiffon & ostrich flowers and feather arrow. Embroidered sinamay saucer with silk chiffon ostrich feather flowers. Large saucer with sinamay lattice and handpainted flowers. Large saucer with lattice sinamay and handpainted flowers. Large button with handcrafted silk roses and feather arrow. Parasisal straw side beret with swirl detail. Small windowpane saucer with leather flower detail. Knotted parasisal straw boater with velvet band and bow. Deep Pink Sinamay Saucer Hat with Handcrafted Silk Rose & Sinamay Twirl. Mid Pink Parasisal Staw Side Beret with Ostrich Plume. 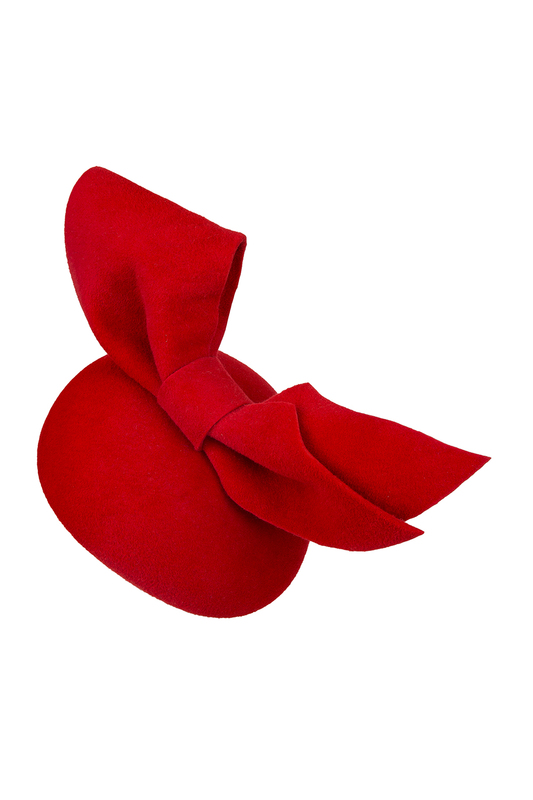 Red Velour Felt Side Beret with Draped Bow. 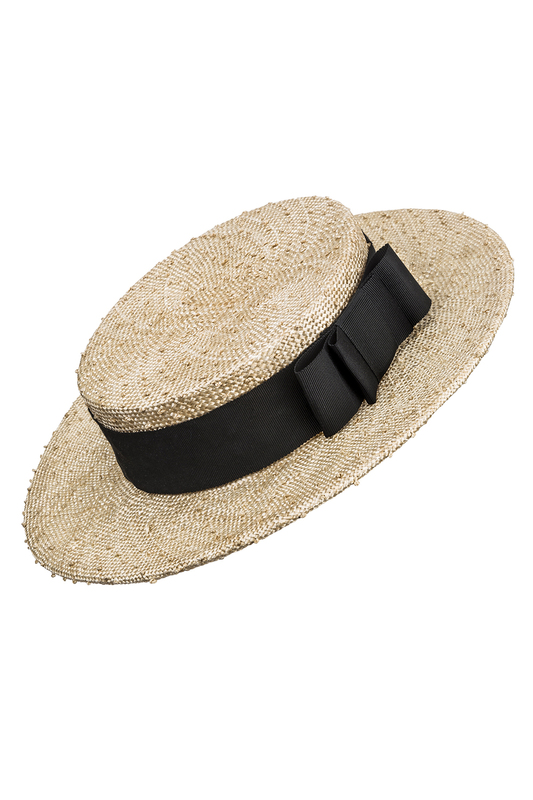 Knotted straw percher boater with ribbon bow band. 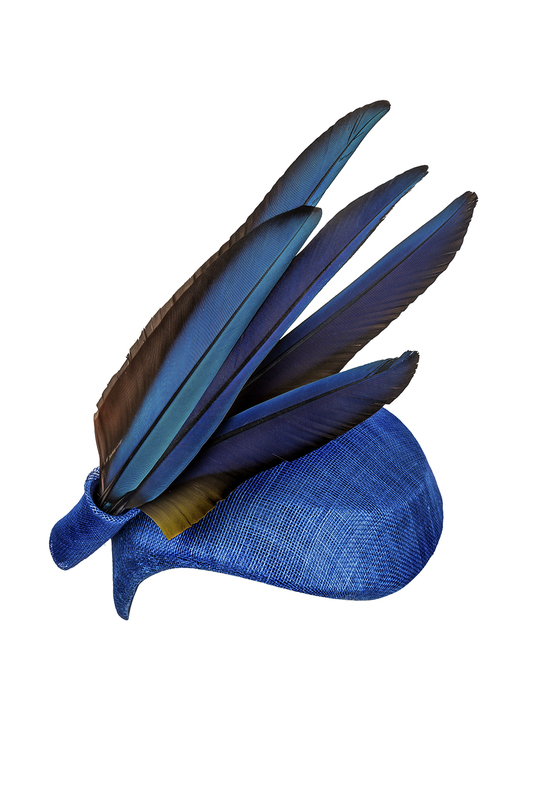 Blue sinamay calot with macaw feathers.